If you’re often inspired by nature, why not bring the beauty of nature into your home? Maybe you love looking at the intricate beauty of dandelions or you’re stunned by the night sky full of shimmering stars. To bring lovely light and natural beauty to your home, making your own fiber optic LED dandelion lamp is a wonderful idea. It looks great whether you have it lit or not. The best part is that you can make this lamp yourself with the right materials and tools. Of course, you’ll need some specific tools and materials before you get started. 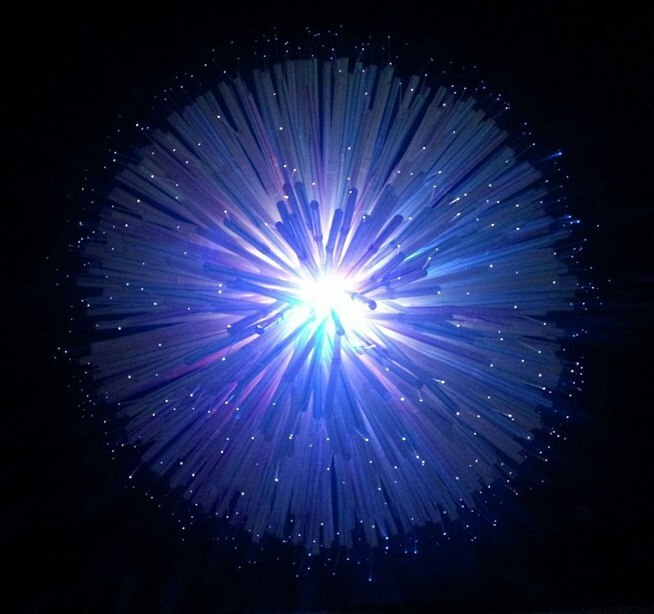 You’ll need 0.75 end glow optical fibers as well as a variety of 5mm LEDs in blue, white and pink. You’ll also need some white card board, 9 inch drinking straws and a SPST rocker switch. Other tools and materials to have on hand include a soldering iron with lead free solder, electrical tape, mini glue gun with glue sticks, paper clips, brass fasteners and more. Once you have the right materials and tools, constructing the fiber optic LED dandelion lamp is fairly simple. The entire structure is inspired by an orange’s structure, which gives you an idea of how the lamp should be constructed. The straws are used to help hold and support the fiber optics and remember, only hot glue will do. With a bit of patience, you can get all the fiber optics in place. Then you’ll be ready to create your circuit, which requires following the directions very specifically. Once you have the circuit built and soldered together, you’ll also need to build an enclosure for the circuit. While it will take a bit of time and effort to create your lovely fiber optic LED dandelion lamp, the result when you’re done is definitely worth all that effort. You’ll be stunned at how incredible your lamp looks. In fact, once you’re done making the first lamp, you may want to make a couple more. While you enjoy your lamp and all the incredible colors and lights, you can dream about nature, its colors and all the light that nature has to offer.